David Hume (7 May 1711, N.S. [April 26, O.S.] – 25 August 1776) was a Scottish philosopher, historian, economist and essayist. A wise man's kingdom is his own breast: or, if he ever looks farther, it will only be to the judgment of a select few, who are free from prejudices, and capable of examining his work. A wise man's kingdom is his own breast: or, if he ever looks farther, it will only be to the judgment of a select few, who are free from prejudices, and capable of examining his work. Nothing indeed can be a stronger presumption of falsehood than the approbation of the multitude; and Phocion, you know, always suspected himself of some blunder when he was attended with the applauses of the populace. Playfully ironic letter to Adam Smith regarding the positive reception of "The Theory of Moral Sentiments"
Does a man of sense run after every silly tale of hobgoblins or fairies, and canvass particularly the evidence? I never knew anyone, that examined and deliberated about nonsense who did not believe it before the end of his enquiries. As to the Approbation or Esteem of those Blockheads who call themselves the Public, & whom a Bookseller, a Lord, a Priest, or a Party can guide, I do most heartily despise it. Heaven and Hell suppose two distinct species of men, the good and the bad; but the greatest part of mankind float betwixt vice and virtue. -- Were one to go round the world with an intention of giving a good supper to the righteous, and a sound drubbing to the wicked, he would frequently be embarrassed in his choice, and would find that the merits and the demerits of most men and women scarcely amount to the value of either. The conclusion [of the essay 'Of the Protestant Succession'] shows me a Whig, but a very sceptical one. E. C. Mossner, Life of David Hume (Clarendon Press, 2001), p. 311. I thought that I was the only historian, that had at once neglected present power, interest, and authority, and the cry of popular prejudices; and as the subject was suited to every capacity, I expected proportional applause. But miserable was my disappointment: I was assailed by one cry of reproach, disapprobation, and even detestation; English, Scotch, and Irish, Whig and Tory, churchman and sectary, freethinker and religionist, patriot and courtier, united in their rage against the man, who had presumed to shed a generous tear for the fate of Charles I and the Earl of Strafford. Here am I who have written on all sorts of subjects calculated to excite hostility, moral, political, and religious, and yet I have no enemies — except, indeed, all the Whigs, all the Tories, and all the Christians. Nothing is more usual and more natural for those, who pretend to discover anything new to the world in philosophy and the sciences, than to insinuate the praises of their own systems, by decrying all those, which have been advanced before them. And indeed were they content with lamenting that ignorance, which we still lie under in the most important questions, that can come before the tribunal of human reason, there are few, who have an acquaintance with the sciences, that would not readily agree with them. 'Tis easy for one of judgment and learning, to perceive the weak foundation even of those systems, which have obtained the greatest credit, and have carried their pretensions highest to accurate and profound reasoning. Principles taken upon trust, consequences lamely deduced from them, want of coherence in the parts, and of evidence in the whole, these are every where to be met with in the systems of the most eminent philosophers, and seem to have drawn disgrace upon philosophy itself. We must therefore glean up our experiments in this science from a cautious observation of human life, and take them as they appear in the common course of the world, by men’s behaviour in company, in affairs, and in their pleasures. Where experiments of this kind are judiciously collected and compared, we may hope to establish on them a science, which will not be inferior in certainty, and will be much superior in utility to any other of human comprehension. Now as we call every thing custom, which proceeds from a past repetition, without any new reasoning or conclusion, we may establish it as a certain truth, that all the belief, which follows upon any present impression, is deriv'd solely from that origin. There is nothing in any object, consider'd in itself, which can afford us a reason for drawing a conclusion beyond it; [...] even after the observation of the frequent or constant conjunction of objects, we have no reason to draw any inference concerning any object beyond those of which we have had experience. Nature may certainly produce whatever can arise from habit: Nay, habit is nothing but one of the principles of nature, and derives all its force from that origin. By this means all knowledge degenerates into probability; and this probability is greater or less, according to our experience of the veracity or deceitfulness of our understanding, and according to the simplicity or intricacy of the question. At present they [philosophers] seem to be in a very lamentable condition, and such as the poets have given us but a faint notion of in their descriptions of the punishment of Sisyphus and Tantalus. For what can be imagin'd more tormenting, than to seek with eagerness, what for ever flies us; and seek for it in a place, where 'tis impossible it can ever exist? For do our Theologians pretend to make a monopoly of the word, action, and may not the atheists likewise take possession of it, and affirm that plants, animals, men, &c. are nothing but particular actions of one simple universal substance, which exerts itself from a blind and absolute necessity? 'Tis certainly a kind of indignity to philosophy, whose sovereign authority ought every where to be acknowledg'd, to oblige her on every occasion to make apologies for her conclusions, and justify herself to every particular art and science, which may be offended at her. For my part, when I enter most intimately into what I call myself, I always stumble on some particular perception or other, of heat or cold, light or shade, love or hatred, pain or pleasure. I never can catch myself at any time without a perception, and never can observe any thing but the perception. When my perceptions are remov’d for any time, as by sound sleep; so long am I insensible of myself, and may truly be said not to exist. And were all my perceptions remov’d by death, and cou’d I neither think, nor feel, nor see, nor love, nor hate after the dissolution of my body, I shou’d be entirely annihilated, nor do I conceive what is farther requisite to make me a perfect non-entity. If any one upon serious and unprejudic’d reflexion, thinks he has a different notion of himself, I must confess I can reason no longer with him. All I can allow him is, that he may be in the right as well as I, and that we are essentially different in this particular. He may, perhaps, perceive something simple and continu’d, which he calls himself; tho’ I am certain there is no such principle in me... But setting aside some metaphysicians of this kind, I may venture to affirm of the rest of mankind, that they are nothing but a bundle or collection of different perceptions, which succeed each other with an inconceivable rapidity, and are in a perpetual flux and movement. I am first affrighted and confounded with that forelorn solitude, in which I am plac'd in my philosophy, and fancy myself some strange uncouth monster, who not being able to mingle and unite in society, has been expell'd all human commerce, and left utterly abandon'd and disconsolate. Fain wou'd I run into the crowd for shelter and warmth; but cannot prevail with myself to mix with such deformity. I call upon others to join me, in order to make a company apart; but no one will hearken to me. Every one keeps at a distance, and dreads that storm, which beats upon me from every side. I have expos'd myself to the enmity of all metaphysicians, logicians, mathematicians, and even theologians; and can I wonder at the insults I must suffer? I have declar'd my disapprobation of their systems; and can I be surpriz'd, if they shou'd express a hatred of mine and of my person? When I look abroad, I foresee on every side, dispute, contradiction, anger, calumny and detraction. When I turn my eye inward, I find nothing but doubt and ignorance. All the world conspires to oppose and contradict me; tho' such is my weakness, that I feel all my opinions loosen and fall of themselves, when unsupported by the approbation of others. Every step I take is with hesitation, and every new reflection makes me dread an error and absurdity in my reasoning. For with what confidence can I venture upon such bold enterprises, when beside those numberless infirmities peculiar to myself, I find so many which are common to human nature? Can I be sure, that in leaving all established opinions I am following truth; and by what criterion shall I distinguish her, even if fortune shou'd at last guide me on her foot-steps? After the most accurate and exact of my reasonings, I can give no reason why I shou'd assent to it; and feel nothing but a strong propensity to consider objects strongly in that view, under which they appear to me. Experience is a principle, which instructs me in the several conjunctions of objects for the past. Habit is another principle, which determines me to expect the same for the future; and both of them conspiring to operate upon the imagination, make me form certain ideas in a more intense and lively manner, than others, which are not attended with the same advantages. Without this quality, by which the mind enlivens some ideas beyond others (which seemingly is so trivial, and so little founded on reason) we cou'd never assent to any argument, nor carry our view beyond those few objects, which are present to our senses. Nay, even to these objects we cou'd never attribute any existence, but what was dependent on the senses; and must comprehend them entirely in that succession of perceptions, which constitutes our self or person. Nay farther, even with relation to that succession, we cou'd only admit of those perceptions, which are immediately present to our consciousness, nor cou'd those lively images, with which the memory presents us, be ever receiv'd as true pictures of past perceptions. The memory, senses, and understanding are, therefore, all of them founded on the imagination, or the vivacity of our ideas. This deficiency in our ideas is not, indeed, perceived in common life, nor are we sensible, that in the most usual conjunctions of cause and effect we are as ignorant of the ultimate principle, which binds them together, as in the most unusual and extraordinary. But this proceeds merely from an illusion of the imagination; and the question is, how far we ought to yield to these illusions. This question is very difficult, and reduces us to a very dangerous dilemma, whichever way we answer it. For if we assent to every trivial suggestion of the fancy; beside that these suggestions are often contrary to each other; they lead us into such errors, absurdities, and obscurities, that we must at last become asham'd of our credulity. Nothing is more dangerous to reason than the flights of the imagination, and nothing has been the occasion of more mistakes among philosophers. Men of bright fancies may in this respect be compar'd to those angels, whom the scripture represents as covering their eyes with their wings. This has already appear'd in so many instances, that we may spare ourselves the trouble of enlarging upon it any farther. An evil may be real, tho' its cause has no relation to us: It may be real, without being peculiar: It may be real, without shewing itself to others: It may be real, without being constant: And it may be real, without falling under the general rules. Such evils as these will not fail to render us miserable, tho' they have little tendency to diminish pride: And perhaps the most real and the most solid evils of life will be found of this nature. No quality of human nature is more remarkable, both in itself and in its consequences, than that propensity we have to sympathize with others, and to receive by communication their inclinations and sentiments, however different from, or even contrary to our own. This is not only conspicuous in children, who implicitly embrace every opinion propos’d to them; but also in men of the greatest judgment and understanding, who find it very difficult to follow their own reason or inclination, in opposition to that of their friends and daily companions. To this principle we ought to ascribe the great uniformity we may observe in the humours and turn of thinking of those of the same nation; and ’tis much more probable, that this resemblance arises from sympathy, than from any influence of the soil and climate, which, tho’ they continue invariably the same, are not able to preserve the character of a nation the same for a century together. A good-natur’d man finds himself in an instant of the same humour with his company; and even the proudest and most surly take a tincture from their countrymen and acquaintance. A chearful countenance infuses a sensible complacency and serenity into my mind; as an angry or sorrowful one throws a sudden dump upon me. Hatred, resentment, esteem, love, courage, mirth and melancholy; all these passions I feel more from communication than from my own natural temper and disposition. So remarkable a phaenomenon merits our attention, and must be trac’d up to its first principles. There is no method of reasoning more common, and yet none more blameable, than in philosophical debates to endeavour to refute any hypothesis by a pretext of its dangerous consequences to religion and morality. When any opinion leads us into absurdities, 'tis certainly false; but 'tis not certain an opinion is false, because 'tis of dangerous consequence. What may at first occur on this head, is, that as nothing can be contrary to truth or reason, except what has a reference to it, and as the judgments of our understanding only have this reference, it must follow, that passions can be contrary to reason only so far as they are accompany'd with some judgment or opinion. According to this principle, which is so obvious and natural, `tis only in two senses, that any affection can be call'd unreasonable. First, When a passion, such as hope or fear, grief or joy, despair or security, is founded on the supposition or the existence of objects, which really do not exist. Secondly, When in exerting any passion in action, we chuse means insufficient for the design'd end, and deceive ourselves in our judgment of causes and effects. Where a passion is neither founded on false suppositions, nor chuses means insufficient for the end, the understanding can neither justify nor condemn it. `Tis not contrary to reason to prefer the destruction of the whole world to the scratching of my finger. `Tis not contrary to reason for me to chuse my total ruin, to prevent the least uneasiness of an Indian or person wholly unknown to me. `Tis as little contrary to reason to prefer even my own acknowledge'd lesser good to my greater, and have a more ardent affection for the former than the latter. A trivial good may, from certain circumstances, produce a desire superior to what arises from the greatest and most valuable enjoyment; nor is there any thing more extraordinary in this, than in mechanics to see one pound weight raise up a hundred by the advantage of its situation. In short, a passion must be accompany'd with some false judgment. in order to its being unreasonable; and even then `tis not the passion, properly speaking, which is unreasonable, but the judgment. There is an inconvenience which attends all abstruse reasoning. That it may silence, without convincing an antagonist, and requires the same intense study to make us sensible of its force, that was at first requisite for its invention. When we leave our closet, and engage in the common affairs of life, its conclusions seem to vanish, like the phantoms of the night on the appearance of the morning; and 'tis difficult for us to retain even that conviction, which we had attain'd with difficulty. Morality is a subject that interests us above all others: We fancy the peace of society to be at stake in every decision concerning it; and 'tis evident, that this concern must make our speculations appear more real and solid, than where the subject is, in a great measure, indifferent to us. What affects us, we conclude can never be a chimera; and as our passion is engag'd on the one side or the other, we naturally think that the question lies within human comprehension; which, in other cases of this nature, we are apt to entertain some doubt of. Without this advantage I never should have ventur'd upon a third volume of such abstruse philosophy, in an age, wherein the greatest part of men seem agreed to convert reading into an amusement, and to reject every thing that requires any considerable degree of attention to be comprehended. Actions may be laudable or blameable; but they cannot be reasonable: Laudable or blameable, therefore, are not the same with reasonable or unreasonable. The merit and demerit of actions frequently contradict, and sometimes controul our natural propensities. But reason has no such influence. Moral distinctions, therefore, are not the offspring of reason. Reason is wholly inactive, and can never be the source of so active a principle as conscience, or a sense of morals. I cannot forbear adding to these reasonings an observation, which may, perhaps, be found of some importance. In every system of morality, which I have hitherto met with, I have always remarked, that the author proceeds for some time in the ordinary way of reasoning, and establishes the being of a God, or makes observations concerning human affairs; when of a sudden I am surprized to find, that instead of the usual copulations of propositions, is, and is not, I meet with no proposition that is not connected with an ought, or an ought not. This change is imperceptible; but is, however, of the last consequence. For as this ought, or ought not, expresses some new relation or affirmation, it is necessary that it should be observed and explained; and at the same time that a reason should be given, for what seems altogether inconceivable, how this new relation can be a deduction from others, which are entirely different from it. But as authors do not commonly use this precaution, I shall presume to recommend it to the readers; and am persuaded, that this small attention would subvert all the vulgar systems of morality, and let us see, that the distinction of vice and virtue is not founded merely on the relations of objects, nor is perceived by reason. The sense of justice and injustice is not deriv'd from nature, but arises artificially… from education, and human conventions. 'Tis only from the selfishness and confin'd generosity of men, along with the scanty provision nature has made for his wants, that justice derives its origin. First published as Philosophical Essays Concerning Human Understanding in 1748, revised numerous times, and retitled in 1758. Variant (perhaps a paraphrase of this passage): It is not reason which is the guide of life, but custom. Nature has pointed out a mixed kind of life as most suitable to the human race, and secretly admonished them to allow none of these biases to draw too much, so as to incapacitate them for other occupations and entertainments. Indulge your passion for science, says she, but let your science be human, and such as may have a direct reference to action and society. Abstruse thought and profound researches I prohibit, and will severely punish, by the pensive melancholy which they introduce, by the endless uncertainty in which they involve you, and by the cold reception which your pretended discoveries shall meet with, when communicated. Be a philosopher; but, amidst all your philosophy, be still a man. That the sun will not rise to-morrow is no less intelligible a proposition, and implies no contradiction, than the affirmation, that it will rise. In vain, therefore, should we pretend to determine any single event, or infer any cause or effect, without the assistance of observation and experience. What would become of history, had we not a dependence on the veracity of the historian, according to the experience, what we have had of mankind? By liberty, then, we can only mean a power of acting or not acting, according to the determinations of the will. Necessity may be defined in two ways, conformably to the two definitions of cause, of which it makes an essential part. It consists either in the constant conjunction of like objects, or in the inference of the understating from one object to another. … no testimony is sufficient to establish a miracle, unless the testimony be of such a kind, that its falsehood would be more miraculous, than the fact, which it endeavors to establish. This work first appeared in the collection of essays Four Dissertations (1757). It was republished several times during Hume's life with minor variations. As every enquiry, which regards religion, is of the utmost importance, there are two questions in particular, which challenge our attention, to wit, that concerning its foundation in reason, and that concerning its origin in human nature. Happily, the first question, which is the most important, admits of the most obvious, at least, the clearest, solution. The whole frame of nature bespeaks an intelligent author; and no rational enquirer can, after serious reflection, suspend his belief a moment with regard to the primary principles of genuine Theism and Religion. But the other question, concerning the origin of religion in human nature, is exposed to some more difficulty. The belief of invisible, intelligent power has been very generally diffused over the human race, in all places and in all ages; but it has neither perhaps been so universal as to admit of no exception, nor has it been, in any degree, uniform in the ideas, which it has suggested. Some nations have been discovered, who entertained no sentiments of Religion, if travellers and historians may be credited; and no two nations, and scarce any two men, have ever agreed precisely in the same sentiments. That original intelligence, say the MAGIANS, who is the first principle of all things, discovers himself immediately to the mind and understanding alone; but has placed the sun as his image in the visible universe; and when that bright luminary diffuses its beams over the earth and the firmament, it is a faint copy of the glory which resides in the higher heavens. If you would escape the displeasure of this divine being, you must be careful never to set your bare foot upon the ground, nor spit into a fire, nor throw any water upon it, even though it were consuming a whole city. Who can express the perfections of the Almighty? say the Mahometans. Even the noblest of his works, if compared to him, are but dust and rubbish. How much more must human conception fall short of his infinite perfections? His smile and favour renders men for ever happy; and to obtain it for your children, the best method is to cut off from them, while infants, a little bit of skin, about half the breadth of a farthing. Take two bits of cloth, say the Roman catholics, about an inch or an inch and a half square, join them by the corners with two strings or pieces of tape about sixteen inches long, throw this over your head, and make one of the bits of cloth lie upon your breast, and the other upon your back, keeping them next your skin: There is not a better secret for recommending yourself to that infinite Being, who exists from eternity to eternity. To oppose the torrent of scholastic religion by such feeble maxims as these, that it is impossible for the same thing to be and not to be, that the whole is greater than a part, that two and three make five; is pretending to stop the ocean with a bullrush. Will you set up profane reason against sacred mystery? No punishment is great enough for your impiety. And the same fires, which were kindled for heretics, will serve also for the destruction of philosophers. How can you worship leeks and onions? we shall suppose a SORBONNIST to say to a priest of SAIS. If we worship them, replies the latter; at least, we do not, at the same time, eat them. But what strange object of adoration are cats and monkeys? says the learned doctor. They are at least as good as the relics or rotten bones of martyrs, answers his no less learned antagonist. Are you not mad, insists the Catholic, to cut one another's throat about the preference of a cabbage or a cucumber? Yes, says the pagan; I allow it, if you will confess, that those are still madder, who fight about the preference among volumes of sophistry, ten thousand of which are not equal in value to one cabbage or cucumber. We may observe, that, notwithstanding the dogmatical, imperious style of all superstition, the conviction of the religionists, in all ages, is more affected than real, and scarcely ever approaches, in any degree, to that solid belief and persuasion, which governs us in the common affairs of life. Men dare not avow, even to their own hearts, the doubts which they entertain on such subjects: They make a merit of implicit faith; and disguise to themselves their real infidelity, by the strongest asseverations and most positive bigotry. But nature is too hard for all their endeavours, and suffers not the obscure, glimmering light, afforded in those shadowy regions, to equal the strong impressions, made by common sense and by experience. The usual course of men's conduct belies their words, and shows, that their assent in these matters is some unaccountable operation of the mind between disbelief and conviction, but approaching much nearer to the former than to the latter. And any practice, recommended to him, which either serves to no purpose in life, or offers the strongest violence to his natural inclinations; that practice he will the more readily embrace, on account of those very circumstances, which should make him absolutely reject it. It seems the more purely religious, because it proceeds from no mixture of any other motive or consideration. And if, for its sake, he sacrifices much of his ease and quiet, his claim of merit appears still to rise upon him, in proportion to the zeal and devotion which he discovers. In restoring a loan, or paying a debt, his divinity is nowise beholden to him; because these acts of justice are what he was bound to perform, and what many would have performed, were there no god in the universe. But if he fast a day, or give himself a sound whipping; this has a direct reference, in his opinion, to the service of God. No other motive could engage him to such austerities. By these distinguished marks of devotion, he has now acquired the divine favour; and may expect, in recompence, protection and safety in this world, and eternal happiness in the next. The more exquisite any good is, of which a small specimen is afforded us, the sharper is the evil, allied to it; and few exceptions are found to this uniform law of nature. The most sprightly wit borders on madness; the highest effusions of joy produce the deepest melancholy; the most ravishing pleasures are attended with the most cruel lassitude and disgust; the most flattering hopes make way for the severest disappointments. And, in general, no course of life has such safety (for happiness is not to be dreamed of) as the temperate and moderate, which maintains, as far as possible, a mediocrity, and a kind of insensibility, in every thing. As the good, the great, the sublime, the ravishing are found eminently in the genuine principles of theism; it may be expected, from the analogy of nature, that the base, the absurd, the mean, the terrifying will be equally discovered in religious fictions and chimeras. Hear the verbal protestations of all men: Nothing so certain as their religious tenets. Examine their lives: You will scarcely think that they repose the smallest confidence in them. The greatest and truest zeal gives us no security against hypocrisy: The most open impiety is attended with a secret dread and compunction. No theological absurdities so glaring that they have not, sometimes, been embraced by men of the greatest and most cultivated understanding. No religious precepts so rigorous that they have not been adopted by the most voluptuous and most abandoned of men. Ignorance is the mother of Devotion: A maxim that is proverbial, and confirmed by general experience. Look out for a people, entirely destitute of religion: If you find them at all, be assured, that they are but few degrees removed from brutes. What so pure as some of the morals, included in some theological system? What so corrupt as some of the practices, to which these systems give rise? It is a very comfortable reflection to the lovers of liberty, that this peculiar privilege of Britain is of a kind that cannot easily be wrested from us, but must last as long as our government remains, in any degree, free and independent. It is seldom, that liberty of any kind is lost all at once. Slavery has so frightful an aspect to men accustomed to freedom, that it must steal upon them by degrees, and must disguise itself in a thousand shapes, in order to be received. But, if the liberty of the press ever be lost, it must be lost at once. The general laws against sedition and libelling are at present as strong as they possibly can be made. Nothing can impose a farther restraint, but either the clapping an Imprimatur upon the press, or the giving to the court very large discretionary powers to punish whatever displeases them. But these concessions would be such a bare-faced violation of liberty, that they will probably be the last efforts of a despotic government. We may conclude, that the liberty of Britain is gone for ever when these attempts shall succeed. It is, therefore, a just political maxim, that every man must be supposed a knave: Though at the same time, it appears somewhat strange, that a maxim should be true in politics, which is false in fact. But to satisfy us on this head, we may consider, that men are generally more honest in their private than in their public capacity, and will go greater lengths to serve a party, than when their own private interest is alone concerned. Honour is a great check upon mankind: But where a considerable body of men act together, this check is, in a great measure, removed; since a man is sure to be approved of by his own party, for what promotes the common interest; and he soon learns to despise the clamours of adversaries. Part I, Essay 6: Of The Independency of Parliament; first line often paraphrased as "It is a just political maxim, that every man must be supposed a knave." But such is the nature of the human mind, that it always lays hold on every mind that approaches it; and as it is wonderfully fortified by an unanimity of sentiments, so is it shocked and disturbed by any contrariety. Hence the eagerness, which most people discover in a dispute; and hence their impatience of opposition, even in the most speculative and indifferent opinions. The heights of popularity and patriotism are still the beaten road to power and tyranny ; flattery to treachery ; standing armies to arbitrary government ; and the glory of God to the temporal interest of the clergy. In all ages of the world, priests have been enemies to liberty; and it is certain, that this steady conduct of theirs must have been founded on fixed reasons of interest and ambition. Liberty of thinking, and of expressing our thoughts, is always fatal to priestly power, and to those pious frauds, on which it is commonly founded; and, by an infallible connexion, which prevails among all kinds of liberty, this privilege can never be enjoyed, at least has never yet been enjoyed, but in a free government. Part I, Essay 9: Of The Parties of Great Britain; final lines of this essay in the 1741 and 1742 editions of Essays, Moral and Political, they were not included in later editions. A propensity to hope and joy is real riches: One to fear and sorrow, real poverty. People who invented the word charity, and used it in a good sense, inculcated more clearly, and much more efficaciously, the precept, Be charitable, than any pretended legislator or prophet, who should insert such a maxim in his writings. The admirers and followers of the Alcoran insist on the excellent moral precepts interspersed throughout that wild and absurd performance. But it is to be supposed, that the Arabic words, which correspond to the English, equity, justice, temperance, meekness, charity, were such as, from the constant use of that tongue, must always be taken in a good sense; and it would have argued the greatest ignorance, not of morals, but of language, to have mentioned them with any epithets, besides those of applause and approbation. But would we know, whether the pretended prophet had really attained a just sentiment of morals? Let us attend to his narration; and we shall soon find, that he bestows praise on such instances of treachery, inhumanity, cruelty, revenge, bigotry, as are utterly incompatible with civilized society. No steady rule of right seems there to be attended to; and every action is blamed or praised, so far only as it is beneficial or hurtful to the true believers. Every thing in the world is purchased by labour. It was a fixed maxim in this reign, as well as in some of the subsequent, that no native of the island should ever be advanced to any dignity, ecclesiastical, civil, or military. The king therefore, upon Stigand’s deposition, promoted Lanfranc, a Milanese monk, celebrated for his learning and piety, to the vacant see. This prelate was rigid in defending the prerogatives of his station; and after a long process before the pope, he obliged Thomas, a Norman monk, who had been appointed to the see of York, to acknowledge the primacy of the archbishop of Canterbury. Where ambition can be so happy as to cover its enterprizes, even to the person himself, under the appearance of principle, it is the most incurable and inflexible of all human passions. Hence Lanfranc’s zeal in promoting the interests of the papacy, by which he himself augmented his own authority, was indefatigable; and met with proportionable success. The devoted attachment to Rome continually encreased in England; and being favoured by the sentiments of the conquerors, as well as by the monastic establishments formerly introduced by Edred and by Edgar, it soon reached the same height, at which it had, during some time, stood in France and Italy. It afterwards went much farther; being favoured by that very remote situation, which had at first obstructed its progress; and being less checked by knowledge and a liberal education, which were still somewhat more common in the southern countries. His character does not appear more extraordinary and unusual by the mixture of so much absurdity with so much penetration, than by his tempering such violent ambition, and such enraged fanaticism with so much regard to justice and humanity. No government, at that time, appeared in the world, nor is perhaps to be found in the records of any history, which subsisted without the mixture of some arbitrary authority, committed to some magistrate; and it might reasonably, beforehand, appear doubtful, whether human society could ever arrive at that state of perfection, as to support itself with no other control, than the general and rigid maxims of law and equity. But the parliament justly thought, that the King was too eminent a magistrate to be trusted with discretionary power, which he might so easily turn to the destruction of liberty. And in the event it has been found, that, though some inconveniencies arise from the maxim of adhering strictly to law, yet the advantages so much overbalance them, as should render the English forever grateful to the memory of their ancestors, who, after repeated contests, at last established that noble principle. The sentiments of men often differ with regard to beauty and deformity of all kinds, even while their general discourse is the same … In all matters of opinion and science, the case is opposite: The difference among men is there oftener found to lie in generals than in particulars; and to be less in reality than in appearance. It is natural for us to seek a Standard of Taste; a rule, by which the various sentiments of men may be reconciled; at least, a decision, afforded, confirming one sentiment, and condemning another. But though all the general rules of art are founded only on experience and on the observation of the common sentiments of human nature, we must not imagine, that, on every occasion, the feelings of men will be conformable to these rules. But though there be naturally a wide difference in point of delicacy between one person and another, nothing tends further to encrease and improve this talent, than practice in a particular art, and the frequent survey or contemplation of a particular species of beauty. The same good sense, that directs men in the ordinary occurrences of life, is not hearkened to in religious matters, which are supposed to be placed altogether above the cognizance of human reason. Written sporadically from 1757-1776 and published posthumously. Any question of philosophy … which is so obscure and uncertain, that human reason can reach no fixed determination with regard to it; if it should be treated at all; seems to lead us naturally into the style of dialogue and conversation. Look round the world: contemplate the whole and every part of it: You will find it to be nothing but one great machine, subdivided into an infinite number of lesser machines, which again admit of subdivisions, to a degree beyond what human senses and faculties can trace and explain. All these various machines, and even their most minute parts, are adjusted to each other with an accuracy, which ravishes into admiration all men, who have ever contemplated them. The curious adapting of means to ends, throughout all nature, resembles exactly, though it much exceeds, the productions of human contrivance; of human design, thought, wisdom, and intelligence. What peculiar privilege has this little agitation of the brain which we call thought, that we must thus make it the model of the whole universe? Our partiality in our own favour does indeed present it on all occasions; but sound philosophy ought carefully to guard against so natural an illusion. If the material world rests upon a similar ideal world, this ideal world must rest upon some other; and so on, without end. It were better, therefore, never to look beyond the present material world. By supposing it to contain the principle of its order within itself, we really assert it to be God; and the sooner we arrive at that Divine Being, so much the better. When you go one step beyond the mundane system, you only excite an inquisitive humour which it is impossible ever to satisfy. But were this world ever so perfect a production, it must still remain uncertain, whether all the excellencies of the work can justly be ascribed to the workman. If we survey a ship, what an exalted idea must we form of the ingenuity of the carpenter who framed so complicated, useful, and beautiful a machine? And what surprise must we feel, when we find him a stupid mechanic, who imitated others, and copied an art, which, through a long succession of ages, after multiplied trials, mistakes, corrections, deliberations, and controversies, had been gradually improving? Many worlds might have been botched and bungled, throughout an eternity, ere this system was struck out; much labour lost; many fruitless trials made; and a slow, but continued improvement carried on during infinite ages in the art of world-making. In such subjects, who can determine, where the truth; nay, who can conjecture where the probability, lies; amidst a great number of hypotheses which may be proposed, and a still greater number which may be imagined? In a word, CLEANTHES, a man who follows your hypothesis is able perhaps to assert, or conjecture, that the universe, sometime, arose from something like design: but beyond that position he cannot ascertain one single circumstance; and is left afterwards to fix every point of his theology by the utmost license of fancy and hypothesis. This world, for aught he knows, is very faulty and imperfect, compared to a superior standard; and was only the first rude essay of some infant deity, who afterwards abandoned it, ashamed of his lame performance: it is the work only of some dependent, inferior deity; and is the object of derision to his superiors: it is the production of old age and dotage in some superannuated deity; and ever since his death, has run on at adventures, from the first impulse and active force which it received from him. You justly give signs of horror, DEMEA, at these strange suppositions; but these, and a thousand more of the same kind, are CLEANTHES’s suppositions, not mine. From the moment the attributes of the Deity are supposed finite, all these have place. And I cannot, for my part, think that so wild and unsettled a system of theology is, in any respect, preferable to none at all. You need only look around you, replied PHILO, to satisfy yourself with regard to this question. A tree bestows order and organisation on that tree which springs from it, without knowing the order; an animal in the same manner on its offspring; a bird on its nest; and instances of this kind are even more frequent in the world than those of order, which arise from reason and contrivance. To say, that all this order in animals and vegetables proceeds ultimately from design, is begging the question; nor can that great point be ascertained otherwise than by proving, a priori, both that order is, from its nature, inseparably attached to thought; and that it can never of itself, or from original unknown principles, belong to matter. In such a chain, too, or succession of objects, each part is caused by that which preceded it, and causes that which succeeds it. Where then is the difficulty? But the WHOLE, you say, wants a cause. I answer, that the uniting of these parts into a whole, like the uniting of several distinct countries into one kingdom, or several distinct members into one body, is performed merely by an arbitrary act of the mind, and has no influence on the nature of things. Did I show you the particular causes of each individual in a collection of twenty particles of matter, I should think it very unreasonable, should you afterwards ask me, what was the cause of the whole twenty. This is sufficiently explained in explaining the cause of the parts. And why should man, added he, pretend to an exemption from the lot of all other animals? The whole earth, believe me, PHILO, is cursed and polluted. A perpetual war is kindled amongst all living creatures. Necessity, hunger, want, stimulate the strong and courageous: Fear, anxiety, terror, agitate the weak and infirm. The first entrance into life gives anguish to the new-born infant and to its wretched parent: Weakness, impotence, distress, attend each stage of that life: and it is at last finished in agony and horror. And is it possible, CLEANTHES, said PHILO, that after all these reflections, and infinitely more, which might be suggested, you can still persevere in your Anthropomorphism, and assert the moral attributes of the Deity, his justice, benevolence, mercy, and rectitude, to be of the same nature with these virtues in human creatures? His power we allow is infinite: whatever he wills is executed: but neither man nor any other animal is happy: therefore he does not will their happiness. His wisdom is infinite: He is never mistaken in choosing the means to any end: But the course of Nature tends not to human or animal felicity: therefore it is not established for that purpose. Through the whole compass of human knowledge, there are no inferences more certain and infallible than these. In what respect, then, do his benevolence and mercy resemble the benevolence and mercy of men? EPICURUS's old questions are yet unanswered. Is he willing to prevent evil, but not able? then is he impotent. Is he able, but not willing? then is he malevolent. Is he both able and willing? whence then is evil? If the whole of natural theology, as some people seem to maintain, resolves itself into one simple, though somewhat ambiguous, at least undefined proposition, that the cause or causes of order in the universe probably bear some remote analogy to human intelligence: If this proposition be not capable of extension, variation, or more particular explication: If it affords no inference that affects human life, or can be the source of any action or forbearance: And if the analogy, imperfect as it is, can be carried no farther than to the human intelligence, and cannot be transferred, with any appearance of probability, to the other qualities of the mind; if this really be the case, what can the most inquisitive, contemplative, and religious man do more than give a plain, philosophical assent to the proposition, as often as it occurs, and believe that the arguments on which it is established exceed the objections which lie against it? Character is the result of a system of stereotyped principles. Hume never used the word "stereotype" (the term was not invented until 1798). Commonly attributed to Hume, but without any apparent basis. I think there is at least one moral theory of respectable lineage and good independent credentials that can accommodate such fairly minimal intuitions about us and animals. This is the theory Hume offers us. 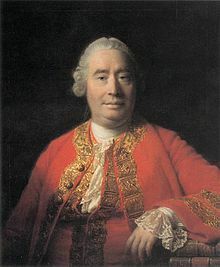 I do not consider Hume a forerunner of utilitarianism, and therefore what I shall go on to say in defense of Hume is not intended as a defense of any version of utilitarianism. I see Hume to be much closer to Aristotle than to Mill, to be offering us a theory about human virtues, not a theory about utility maximization and the duties that might involve. Annette Baier, Knowing Our Place in the Animal World, in Ethics and Animals, edited by Harlan B. Miller and William H. Williams (Clifton, New Jersey: Humana Press, 1983. ISBN 978-0-89603-053-4, p. 68. Well, it does not really explain things; in fact the founding fathers of quantum mechanics rather prided themselves on giving up the idea of explanation. They were very proud that they dealt only with phenomena: they refused to look behind the phenomena, regarding that as the price one had to pay for coming to terms with nature. And it is a fact of history that the people who took that agnostic attitude towards the real world on the microphysical level were very successful. At the time it was a good thing to do. But I don't believe it will be so indefinitely. Of course, I cannot produce theorems to that effect. If you go back to, say, David Hume, who made a careful analysis of our reasons for believing things, you find that there is no good reason for believing that the sun will come up tomorrow, or that this programme will ever be broadcast. It's a habit we have, of believing that things will continue very much as they did before. However, it is a fact that this seems to be a good habit! I cannot make that a theorem, because I think Hume's analysis is sound, but nevertheless I do believe it's a good habit, to look for explanations. Hume not only laid in his philosophical work the foundation of the liberal theory of law, but in his History of England (1754–62) also provided an interpretation of English history as the gradual emergence of the Rule of Law which made the conception known far beyond the limits of Britain. Hume noticed clearly the connection of these doctrines to freedom, and how the maximum freedom of all requires equal restraints on the freedom of each through what he called the three 'fundamental laws of nature': 'the stability of possession, of its transference by consent, and of the performance of promises' (1739/1886:11, 288, 293). […] Hume may have been the first clearly to perceive that general freedom becomes possible by the natural moral instincts being `checked and restrained by a subsequent judgement' according to 'justice, or a regard to the property of others, fidelity, or the observance of promises [which have] become obligatory, and acquire[d] an authority over mankind' (1741, 1742/1886:111, 455). Hume did not make the error, later so common, of confusing two senses of freedom: that curious sense in which an isolated individual is supposed to be able to be free, and that in which many persons collaborating with one another can be free. Seen in the latter context of such collaboration, only abstract rules of property - i.e., the rules of law - guarantee freedom. Hume came close to an evolutionary interpretation, even perceiving that 'no form can persist unless it possesses those powers and organs necessary for its subsistence: some new order or economy must be tried and so on, without intermission; till at last some order which can support and maintain itself, is fallen upon'; and that man cannot 'pretend to an exemption from the lot of all living animals [because the] perpetual war among all living creatures' must go on (1779/1886:11, 429, 436). As has been well said, he practically recognised that 'there is a third category between natural and artificial which shares certain characteristics with both' (Haakonssen, 1981:24). Humean skepticism should be well distinguished from Greek skepticism. Hume’s assumes as basic the truth of the empirical, of feeling, of intuition, and from that base contests general determinations and laws—because they lack justification from sense perception. Ancient skepticism was so far from making feeling and intuition the principle of truth that, on the contrary, it turned first of all against the senses. Hume's philosophy, whether true or false, represents the bankruptcy of eighteenth-century reasonableness. He starts out, like Locke, with the intention of being sensible and empirical, taking nothing on trust, but seeking whatever instruction is to be obtained from experience and observation. But having a better intellect than Locke's, a greater acuteness in analysis, and a smaller capacity for accepting comfortable inconsistencies, he arrives at the disastrous conclusion that from experience and observation nothing is to be learnt. There is no such thing as a rational belief. … We cannot help believing, but no belief can be grounded in reason. Nor can one line of action be more rational than another, since all alike are based upon irrational convictions. This last conclusion, however, Hume seems not to have drawn. … It was inevitable that such a self-refutation of rationality should be followed by a great outburst of irrational faith. The quarrel between Hume and Rousseau is symbolic: Rousseau was mad but influential; Hume was sane but had no followers. It is therefore important to discover whether there is any answer to Hume within the framework of a philosophy that is wholly or mainly empirical. If not, there is no intellectual difference between sanity and insanity. The lunatic who believes that he is a poached egg is to be condemned solely on the ground that he is in a minority, or rather—since we must not assume democracy—on the ground that the government does not agree with him. This is a desperate point of view, and it must be hoped that there is some way of escaping from it. Hume's account of justice is part of a larger account of the moral and political virtues generally. 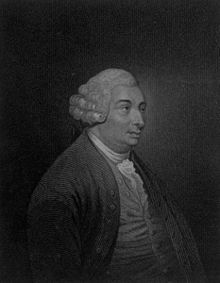 Hume wrote as a philosophical anthropologist, not as a reformer, unlike Bentham and Mill who set out to reform our moral outlook rather than merely to explain it. 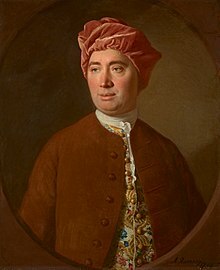 David Hume : A very extensive set of links for David Hume material, including books, articles, and encyclopedia entries. Hume Society: An international scholarly society.